The Nordstrom sale is in full effect and I have already added a couple of clothing and shoe items to my shopping cart (I bought this and this). 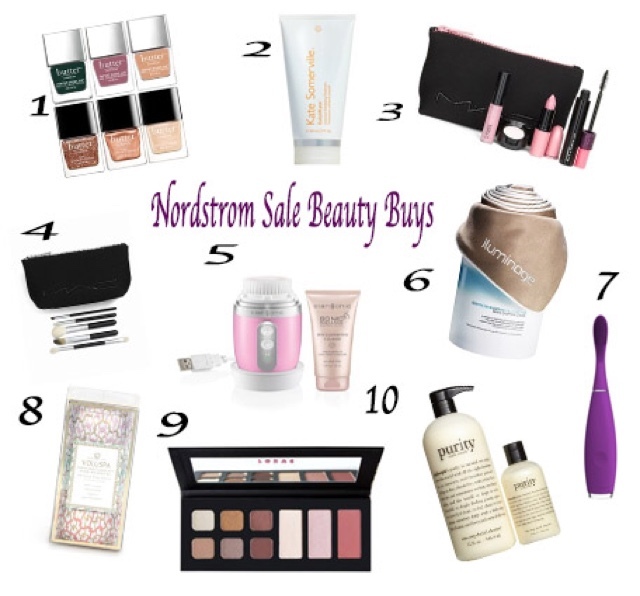 Today I want to talk about the great beauty exclusives that Nordstrom is offering during their anniversary sale. They have some awesome buys. If you are low on makeup, skincare, or even nail polish their beauty exclusives are for you. I have been eying this skin cleansing system (here) for a while and it is at a great price. I may just have to indulge myself since it helps exfoliate and combat the dry skin problem that I am currently having. If you are looking to add new makeup to your collection I would suggest this and this, which are both reasonable prices. This palette here offers a highlighter, bronzer, and a blush all in one. Since fall and winter are around the corner, which means drier skin, may I suggest stocking up on this, for full body hydration. If you are a fan of microderm techniques for the skin try doing it yourself with this product here. What items from the sale will you be adding to your cart? I am interested to know your favorite beauty buys. Shop the rest of mine below.